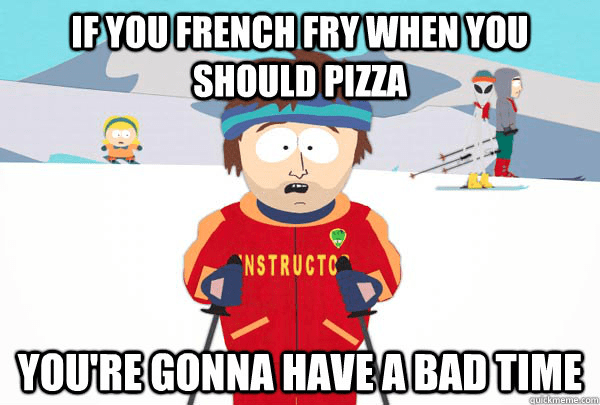 When we grow up with Blue as our second home, learning pizza and french fries as ski terms before food choices, we have to wonder why we’re not competing for the next slalom gold. Oh yes, four years have come and gone, and we’re still practice-racing down Razor’s Edge. With the start of the PyeongChang 2018 Olympic winter games comes excitement and admiration for the incredible athletes excelling at the sports we love. To celebrate, our park crew is hosting an Ollie Contest on Summit School Hill Friday night. Saturday night, our ski and snowboard instructors are honoring the Olympics with a torch light parade in Valley School west. How do snowmisers celebrate? We go for the gold making snow. Yesterday morning, we had a little help and hurt from Mother Nature with 3-5″ of fresh powder followed by— you guessed it— the wind and rain. With continuous fluctuating temperatures, we’re continuously conditioning the slopes for that desired packed powder ride. Plus, we’re rebuilding Central Park and tubing lanes for this weekend. We’re holding on to what’s golden with 39 of 39 trails open and ready to ride. Get your game face on. MISER FILES: Meet the makers of the magic. Travis is with us for a second season making snow. He likes to work outside and play, too, as he makes an effort to ride the slopes almost every day. Tank grew up skiing at Blue. Years later, he switched gears to snowboarding. Now, in his second season working, Tank spends more time making snow than riding it. He enjoys the work, the mountain scenery, and the camaraderie of the crew. Plus, he’s our gold medalist in the ice beard competition. Yessss! Season prep is underway! Hey Max- we’re excited to fire up the guns, but a target open date is in the hands of Mother Nature. We’ll need consistent cold temps and a wet bulb of 28 degrees for snowmaking. Fingers crossed! ← carve for a cause.